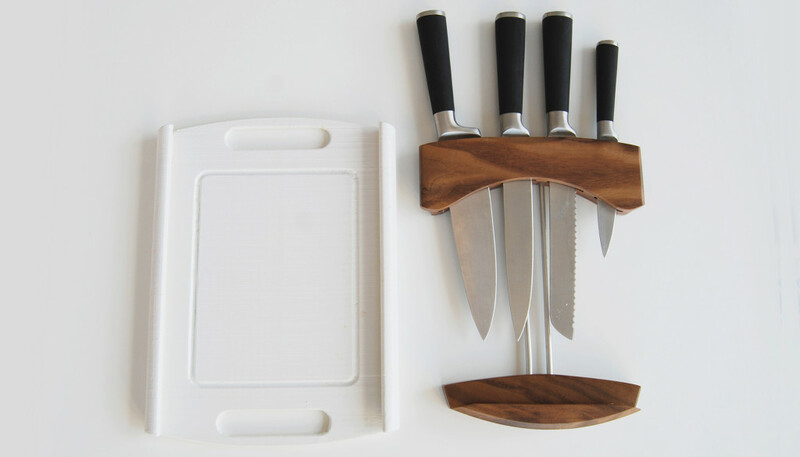 NeatKnife is a combination solid wood knife block and polyethylene cutting board. 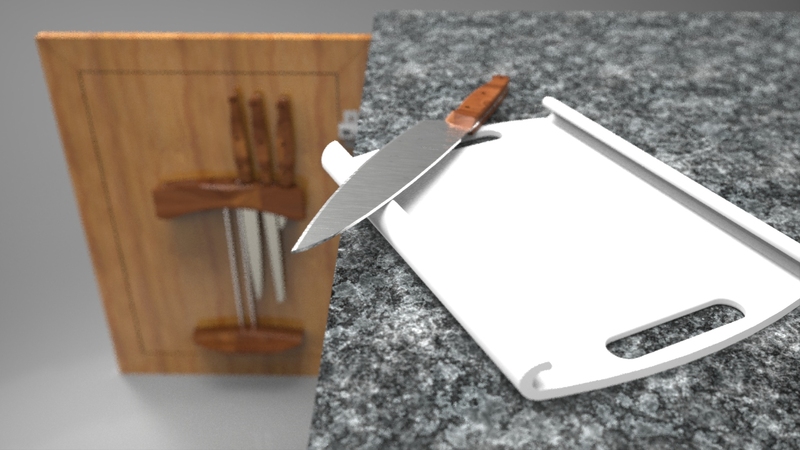 NeatKnife mounts easily and quickly to the inside of a cabinet door or on a wall. Cutting board slides onto mounted knife block for simple storage. Includes 4 piece set of knives: Chef, Pairing, Bread and Utility.